"This was an exhibition based on the imagined visual arts tastes of the Manic Street Preachers. They had referenced a lot of artists in their packaging and interviews,and I had my suspicions about other artists they might have liked, though I didn't know. I didn't work with them at all on this, I just guessed. I curated a show through their eyes as teenage boys, effectively. 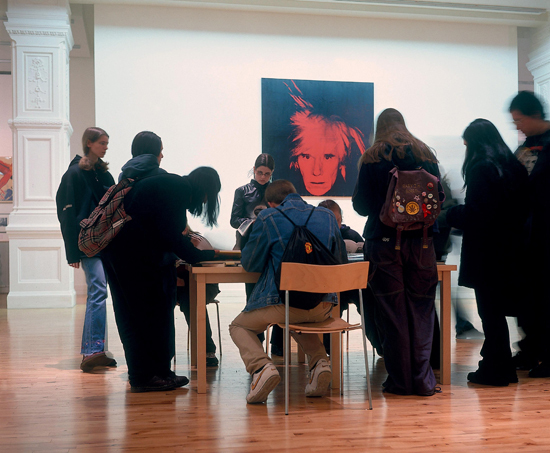 There was material from the Vietnam War, the International Brigades of the Spanish Civil War, Situationism, and then there were works by Warhol, De Kooning, Pollock, Picasso, Bacon – it ended up as a mixture of reportage and icons of Modern and contemporary art. We had an opening weekend,inviting local cultural and political groups to set up around the show. Arthur Scargill gave a speech, and there was a performance by a male voice choir." 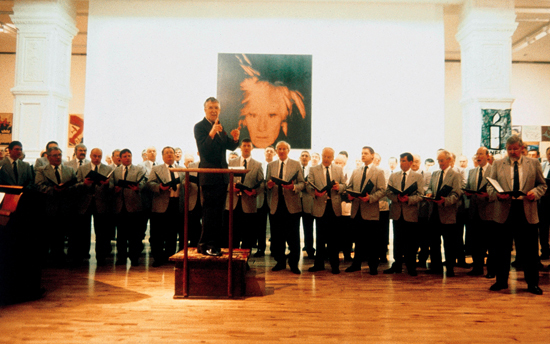 Pendyrus Male Choir performing at the opening weekend of the exhibition. 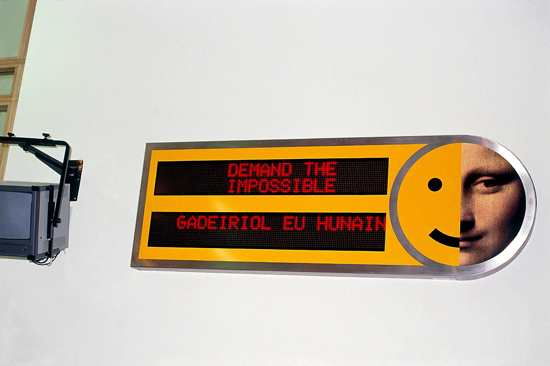 Bilingual (Welsh and English) Situationist quotations on a dot matrix display in the exhibition entrance. Visitors looking at memorabilia relating to the Welsh International Brigade in the Spanish Civil War. 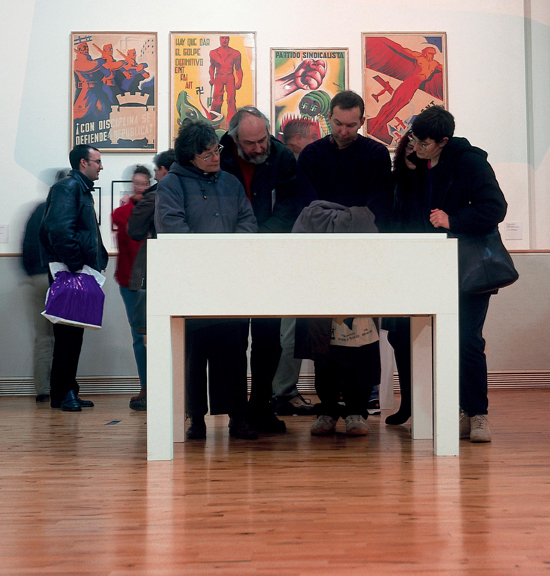 Visitors at the book table in the exhibition. 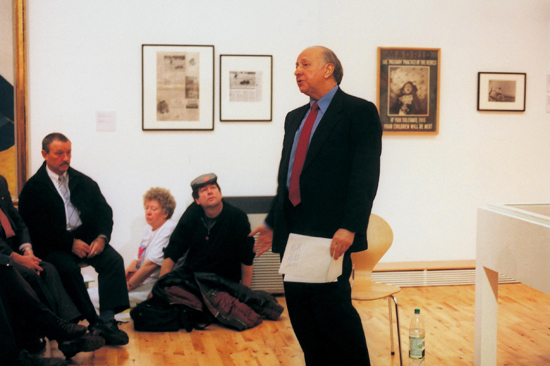 Arthur Scargill giving a speech at the opening weekend. Manics fans looking at a Lego Manic Street Preachers display.